Congratulations to our Laptop Sweepstakes winners! We have some exciting news: three winners will be taking a new laptop from the Laptop Quarterly Sweepstakes! 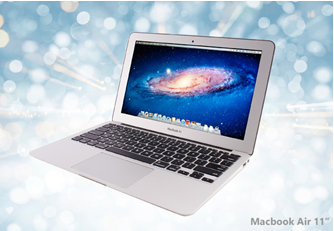 We offered each winner their choice between a Macbook Air or a Dell XSP laptop, and all three winners selected the Macbook Air 11”. Don’t forget to enter our current Quarterly Sweepstakes, in which you could win an iPhone 6 Plus! Visit your Rewards Center to redeem tickets.